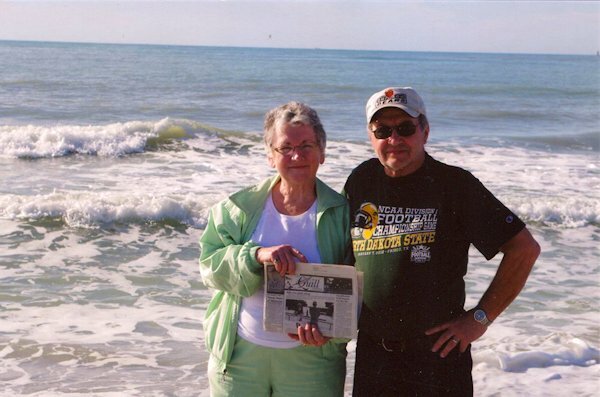 Don and Louetta Boyer of Biggsville, took "The Quill" along to Florida, to visit Gary and Pat Olson McGee. The couple traveled on to Englewood, Florida to visit family and were detained a few days, due to the ice on the bridges which caused roads to be closed on Rt. 90 and Rt. 10.